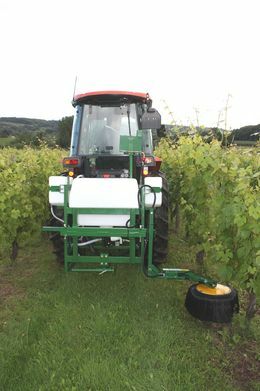 We have been using the Undavina 600 CDA for a number of years in our 30 acre vineyard. We usually treat weeds around three times a year and it does the job perfectly every time. We can spray in any weather conditions thanks to controlled droplet application. With conventional sprayers there’s danger of spray drift when the vines are in leaf. The Undavina is shrouded so there’s no risk of that and we can use it confidently throughout the season. I’m really happy with the after-service too � getting spare parts has never been a problem and they’re usually delivered the next day. I would gladly recommend it to other users. 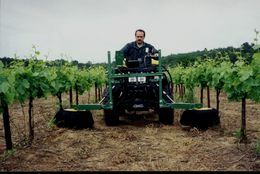 This machine has revolutionized weed control in our plantations and transformed a long and tedious process to a quick and easy job. The accuracy of the equipment has reduced drift, waste and therefore cost. 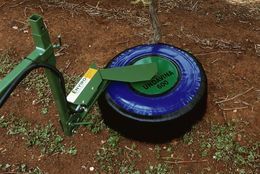 Designed for weed control in vinyeards and orchards, the Undavina features a dome-shaped soft brush design which rolls closely around the base of the plants to ensure maximum weed kill. 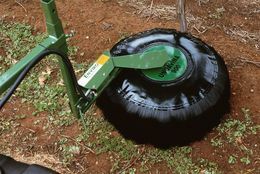 Due to its flexible structure, it is also recommended for weed control round young plants where it should be used with the vinyl cover to protect the sensitive stems from spray damage. 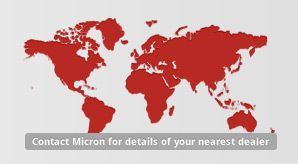 Plant health is also protected by Micron's breakaway system which gently deflects and rolls the shield around young plants to avoid damage. 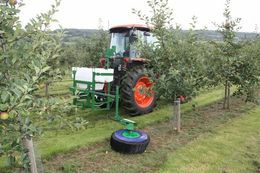 The units can be supplied with CDA or pressure nozzle spray system and in dome diametres of 250mm, 400mm, 600mm or 900mm to suit the row spacing and treatment width required. Optional vinyl cover is available for sensitive plants.